LinkedIn is a social network for professionals, intellectuals and educated people. That is why its reputation is high. Today, the reputation of many people of LinkedIn can be at stake if they have a spammer or some profile in their network. Does the menace of fake profile exist on LinkedIn too? Yes! There are numerous fake profiles on LinkedIn as well. Their aim is to join the network of people and spread the spam messages in their news-feeds and clutter their message boxes with spam messages. Often fake profiles are made in a hurry. Imposters often forget to use CAPS on the keyword and the first alphabet of first name as well as surname is in lower case. Imposters cannot show their real face to you or anyone. They usually use search-engines to search for images and take any random picture as their profile picture. Imposters need to create a lot of fake profiles. They do not have the patience to dedicate a lot of time to fill every column and share every information on their profile. They fill bare minimum columns. And most of those columns are those that are compulsory to be filled while creating a LinkedIn profile. The network of importers on LinkedIn may be little depending on how many people accepted them into their network. But within a short time, they join a lot of groups. On LinkedIn, imposters usually list fake companies as their employers. And the names of such companies are very generic. Creating profiles in a hurry, many times, imposters come up with names on the spot and such names are rhythmic in nature like Sam Smith, Joe Johnson etc. Can there be fake profiles that look genuine? Yes! Sometimes, imposters decide to use one profile to con someone. With all patience, they create a complete profile that is detailed in nature. It also carries a decent picture which is a human face. In order to give summaries on their profiles a genuine look, these people often steal the identities of real people. Suppose, a CEO of a reputed bank sends you add request. You may see that some other people approach you in a similar fashion. You may open all profiles that look similar and see that links on these profiles direct you to same web-pages. This is fraudulent back linking strategy. What should I do if I come across a fake profile? If a fake person sends you add request, do not accept it. If you see any fake profile, flag it and report it as spam. LinkedIn will suspend the account after enough people flag the profile. Now share the signs with other intellectuals in your network so that they can be safe. This can also save them becoming the victims of identity thefts. Did you find this article helpful? Share your comments. Well, below are other articles on a similar content series called ‘Faking the Fakes’, you might like to read them. How to Identify Fake LIKES on a Facebook Page? How to Identify Fake Profiles on Facebook? 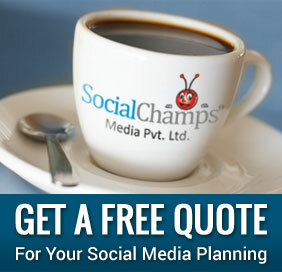 Alternatives of buying Facebook Likes. How to Identify Fake Followers on Twitter? 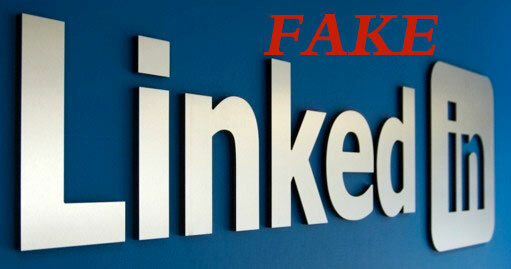 How to Identify Fake LinkedIn Profiles?